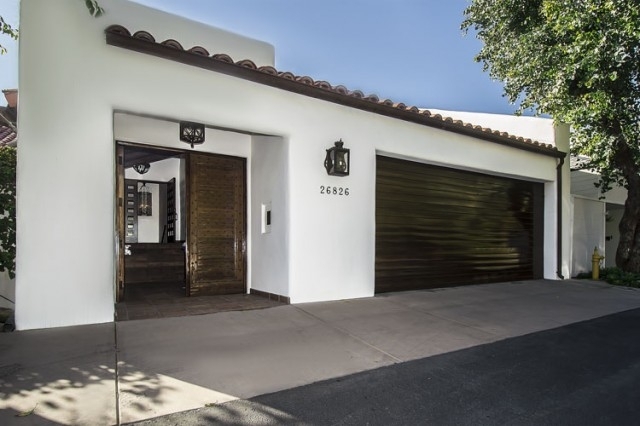 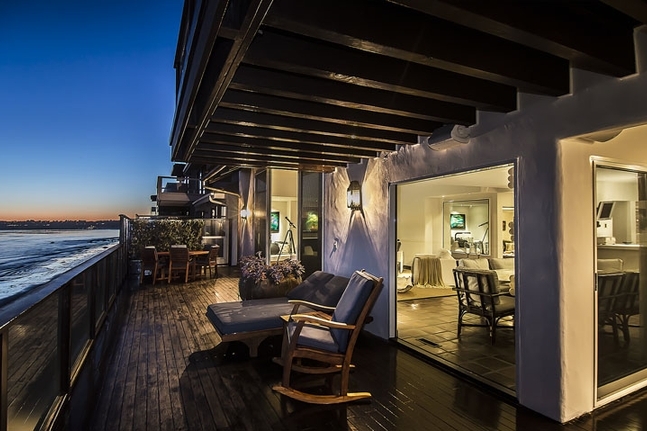 This designer done spanish influenced beach house with contemporary elements is located on prestigious guard gated Malibu Cove Colony Drive. 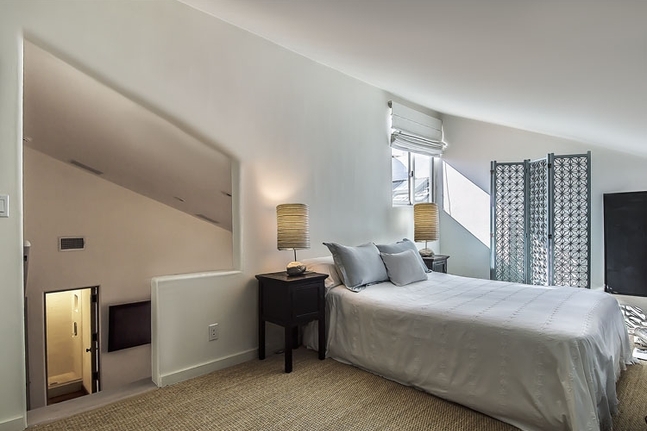 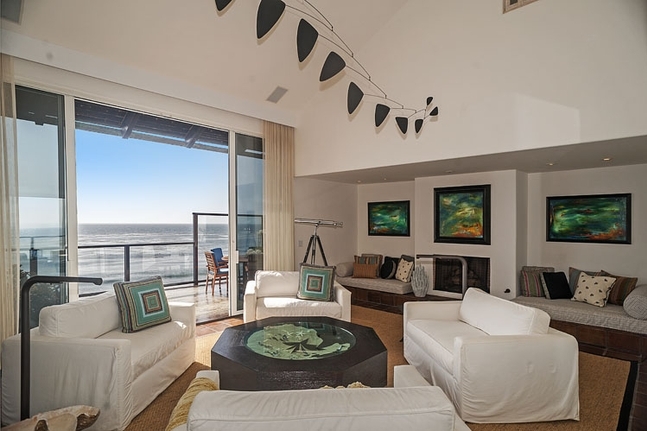 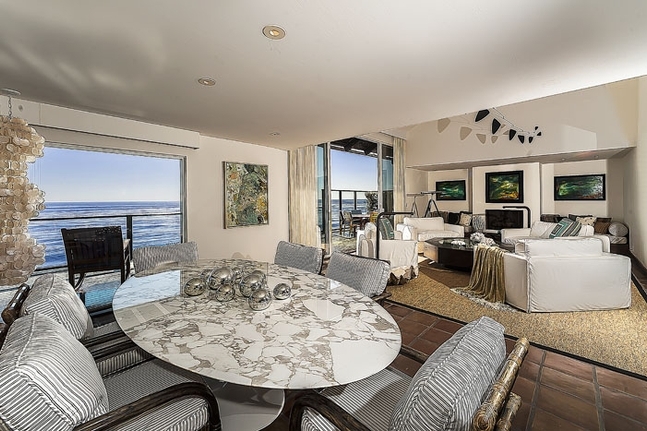 The floor plan takes advantage of the smashing head on ocean and coastline views and creates spaces for dramatic entertaining as well as quieter moments. 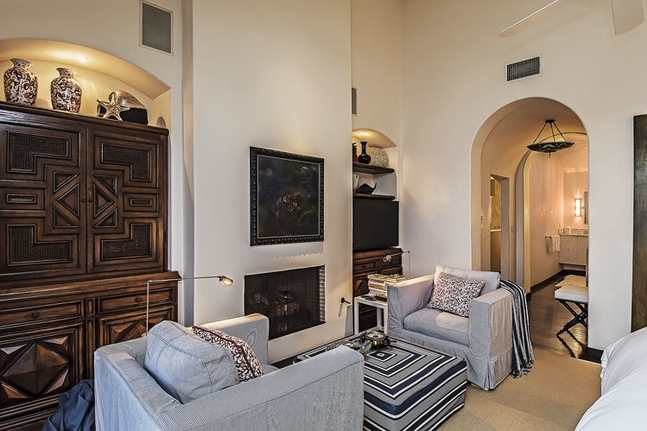 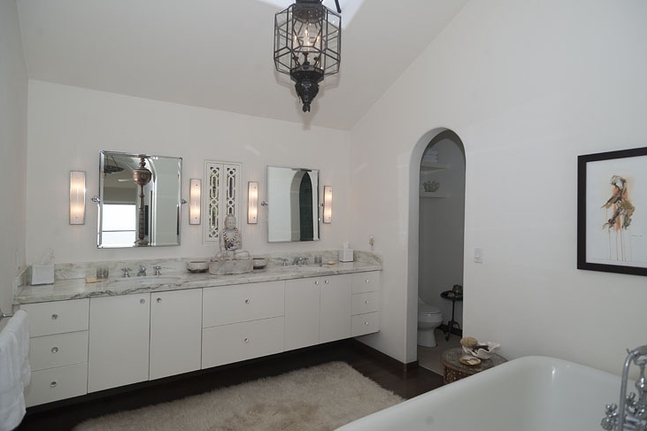 Highlights include a dream master bedroom with walk-in closet, beautiful archways, sitting area, and wraparound deck. 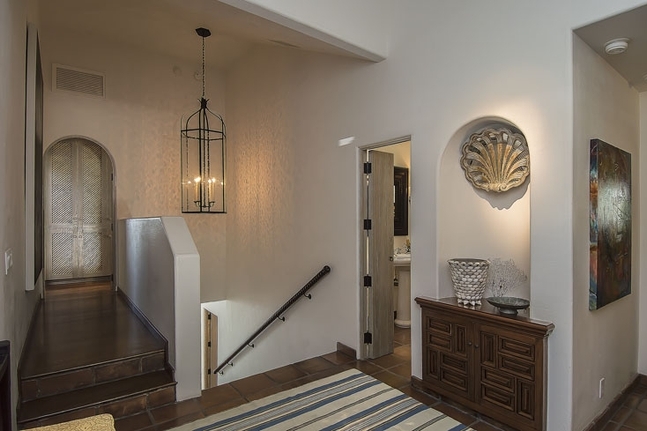 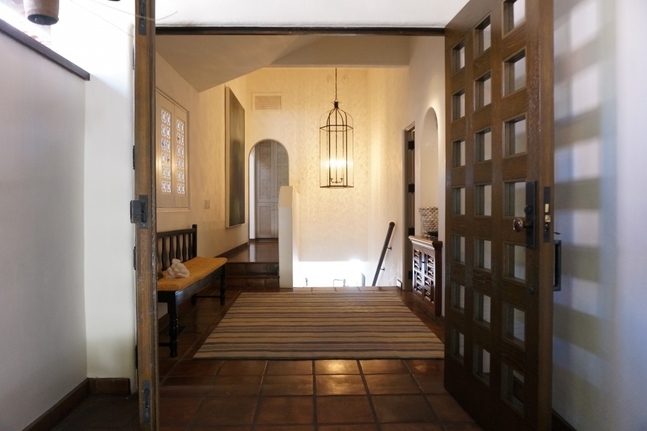 Downstairs, the open kitchen is perfectly situated to service the dining area, living room with vaulted ceilings, the media room and the incredible interior courtyard patio with direct beach access. 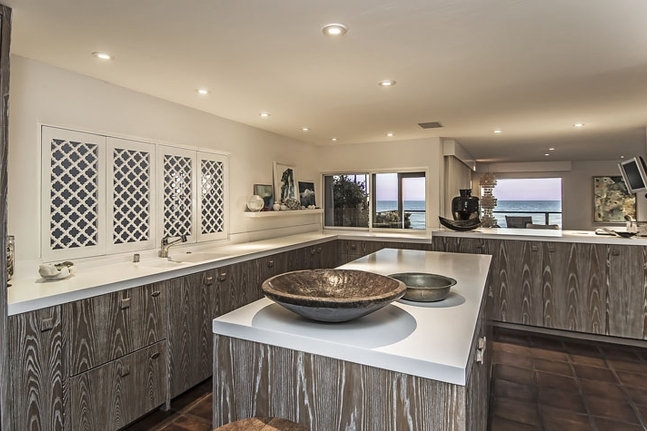 Natural materials and a fine eye for detail create a sense of calm befitting its surroundings the moment you enter this beach house without compromise. 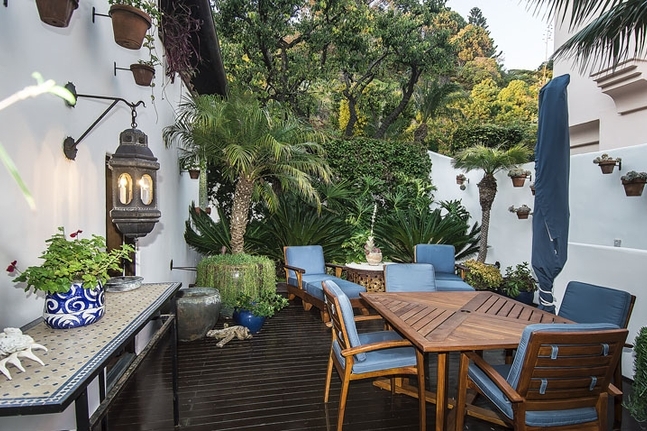 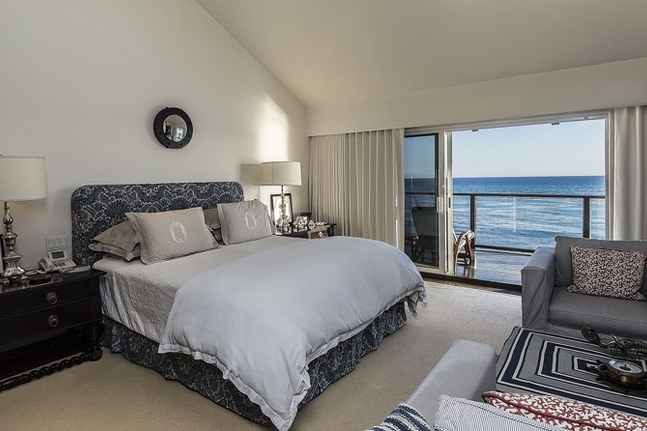 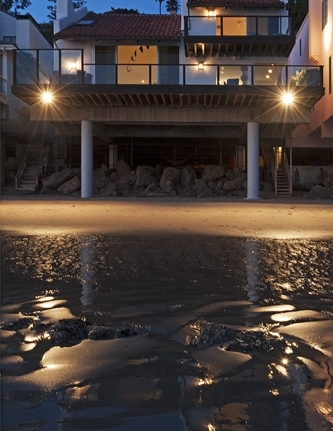 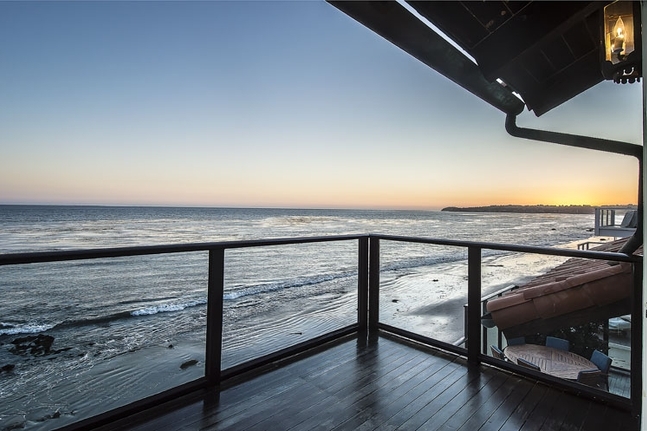 • Malibu Cove Colony doesn't necessarily have the cache that Carbon or Malibu Colony have, but, put simply, this one's so darn beautiful we don't care.